It’s Flóra today! 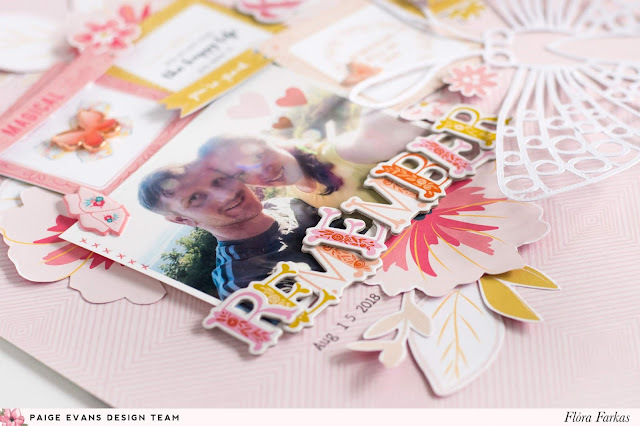 I am super excited to share my very first layout made with the brand new Whimsical collection. Have you seen the yummy details yet? You will love every single piece! For this layout I picked a color palette. I chose pink and ochre yellow shades. I gathered all I could find with these colors. I chose the B-side of Paper 01 for the background because it has a lovely light pink pattern. I cut out cute frames from Paper 13 and arranged them on my layout. I placed my photo on the left and started to decorate the layout. I fussy cut gorgeous flowers and leaves from Paper 03 and added them behind the squares. I also cut out lovely labels from Paper 08 and decorated my page with them. I have Puffy Stickers, Rub-Ons, and Butterfly Charms from the collection so I couldn’t resist using them. They are super cute! 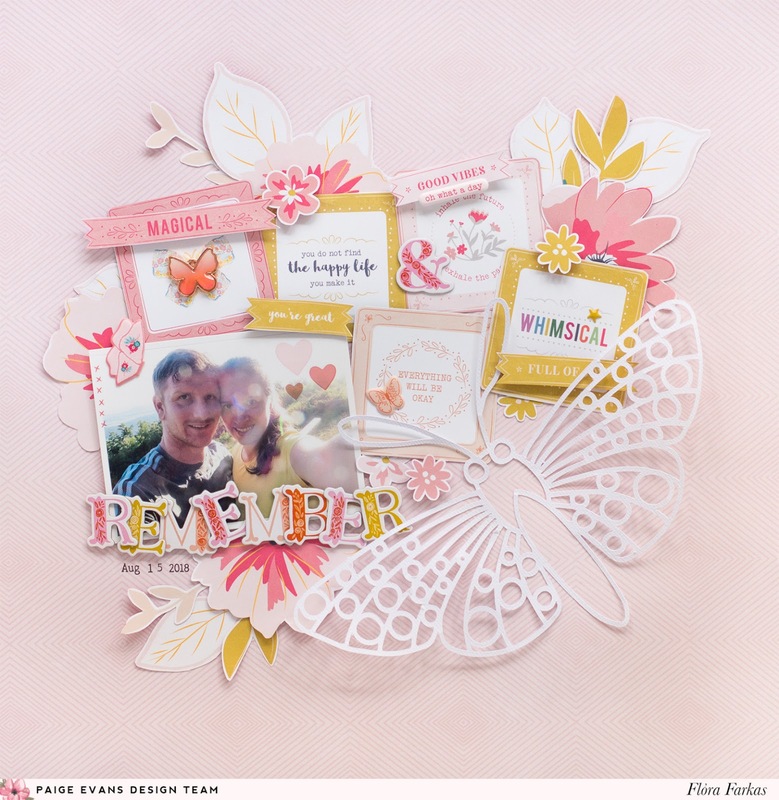 I cut out a beautiful Moth cut file by Paige with my Silhouette Cameo. I didn’t back it because I liked the pretty lace look. I added the title under the photo. I selected pinkish and yellow letters from the Pick-Me-Up Chipboard Thickers to create the word "remember". 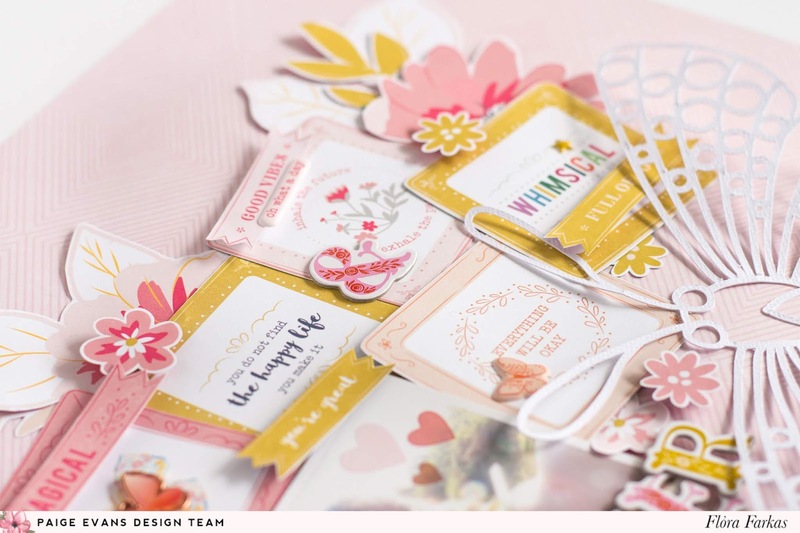 I love how these Thickers coordinate with the new Whimsical collection. I hope you like my new layout made with Whimsical! 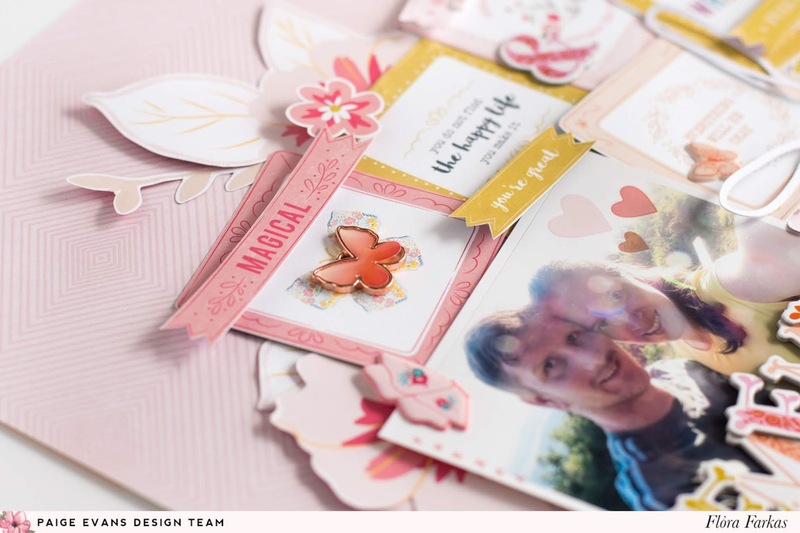 This gorgeous line will be the perfect choice to document your fall memories!